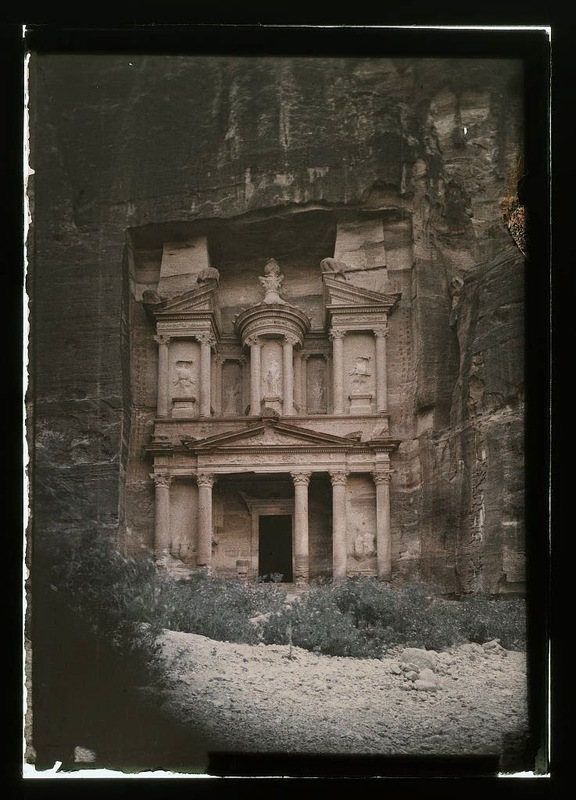 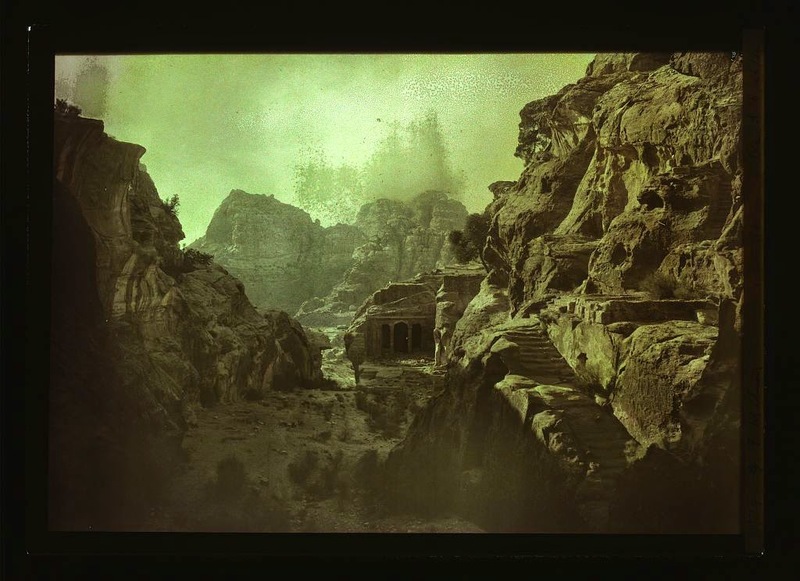 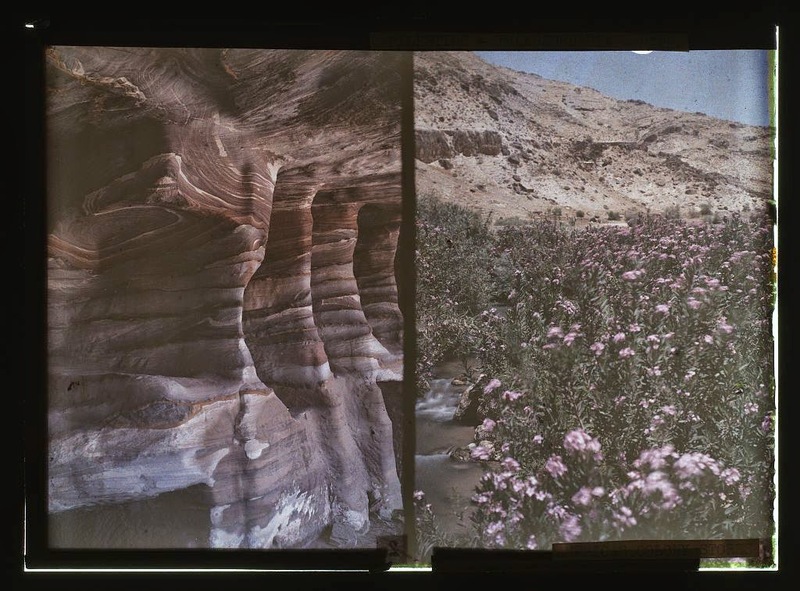 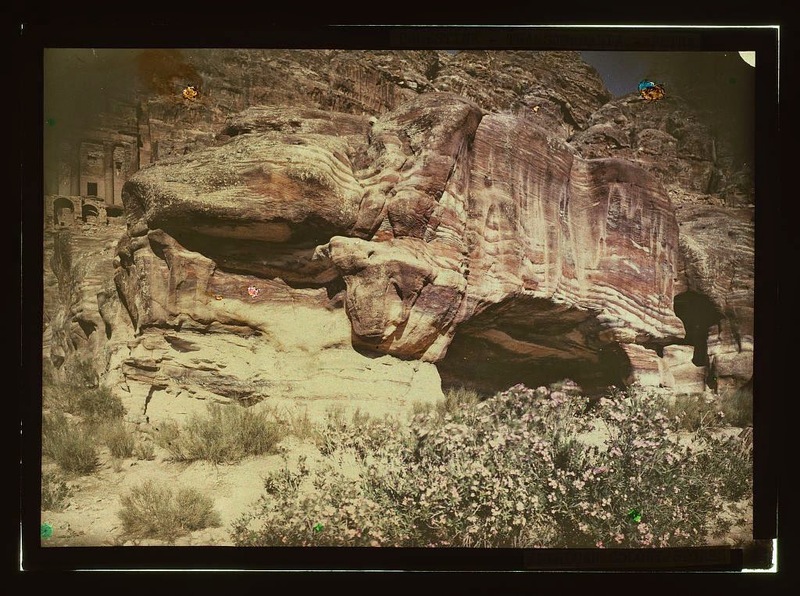 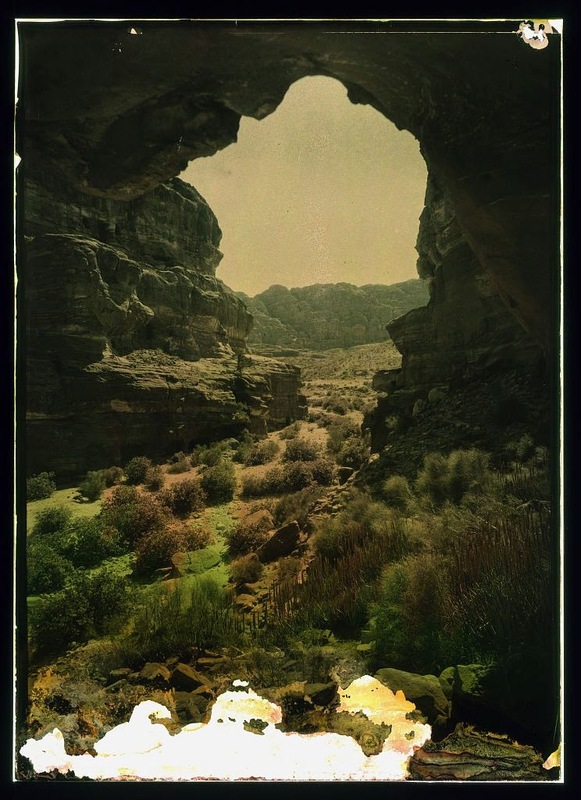 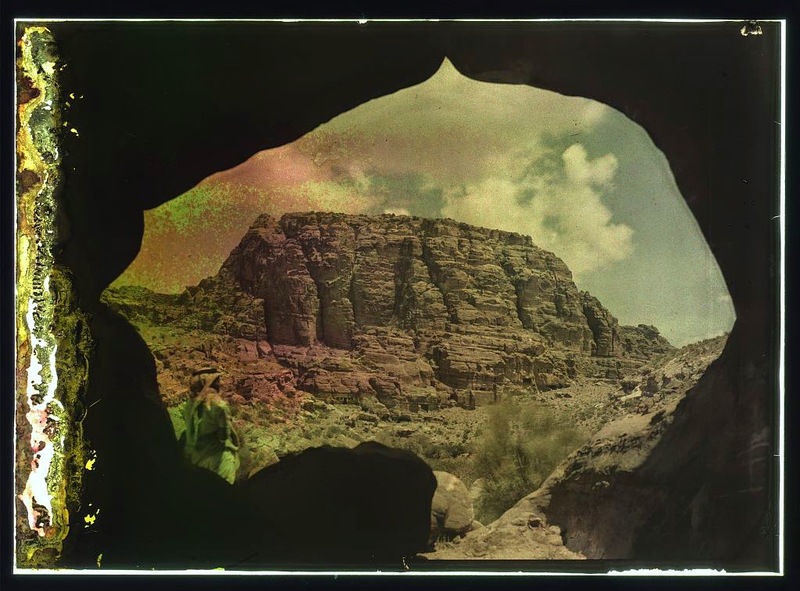 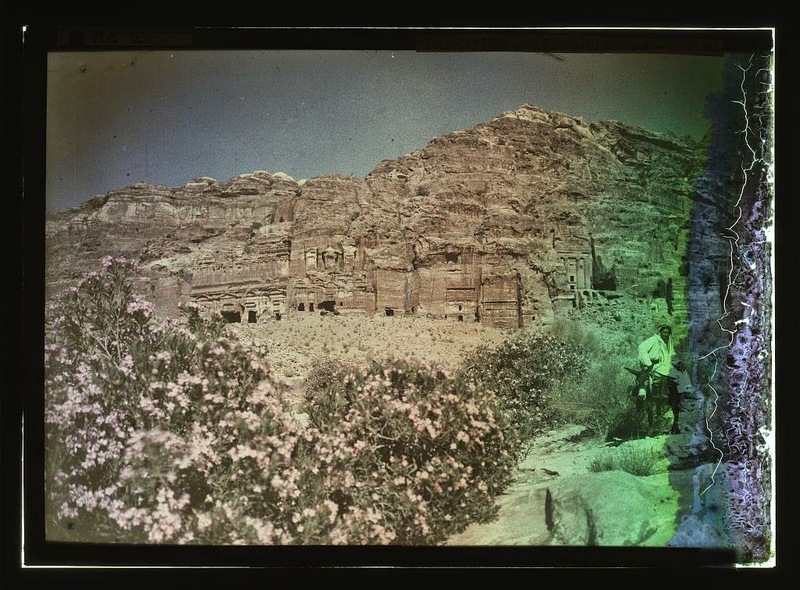 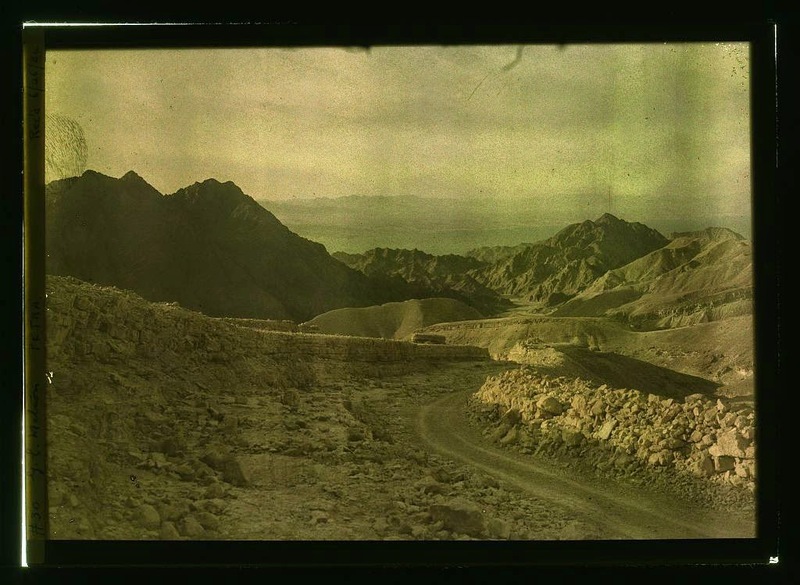 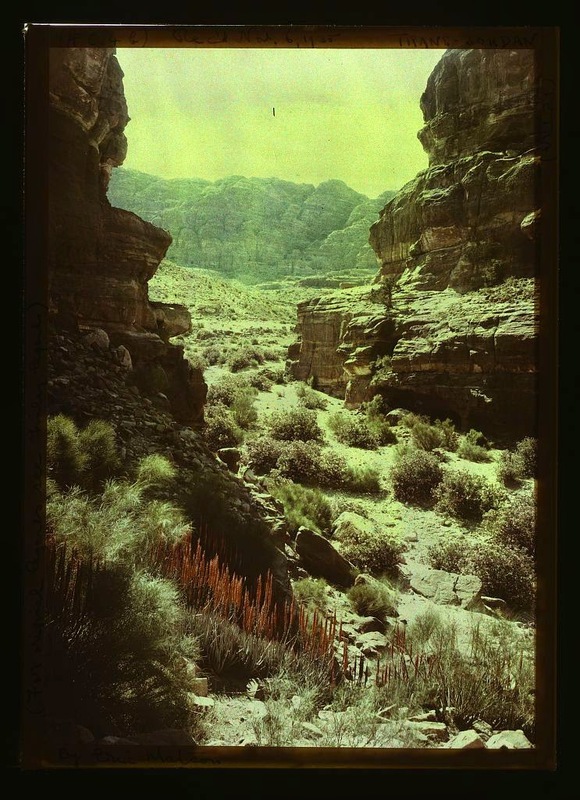 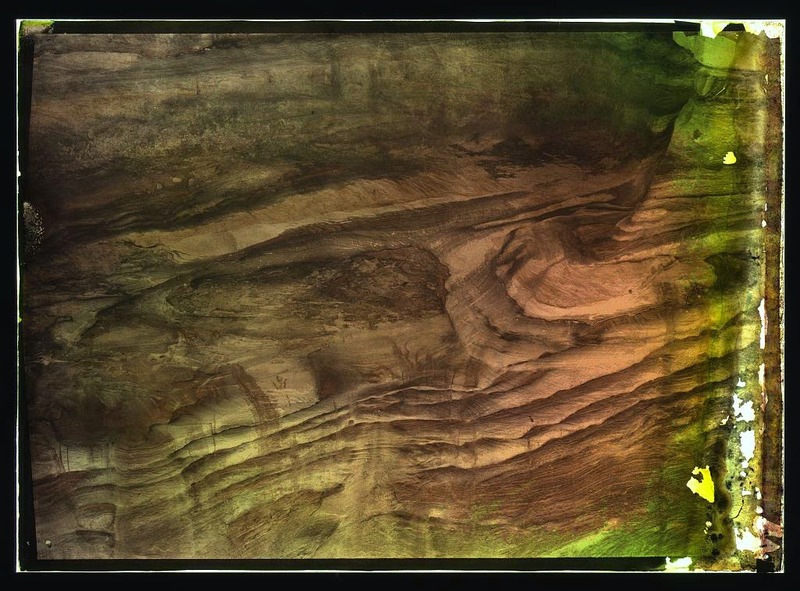 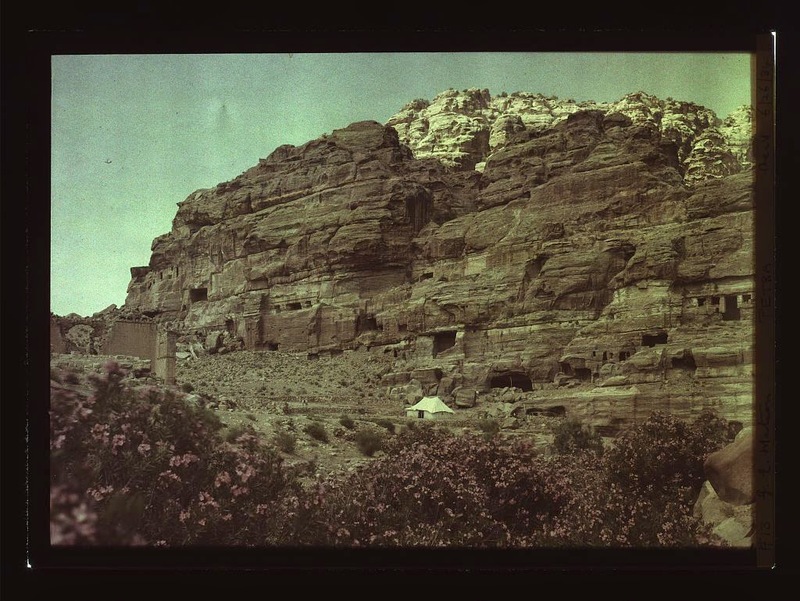 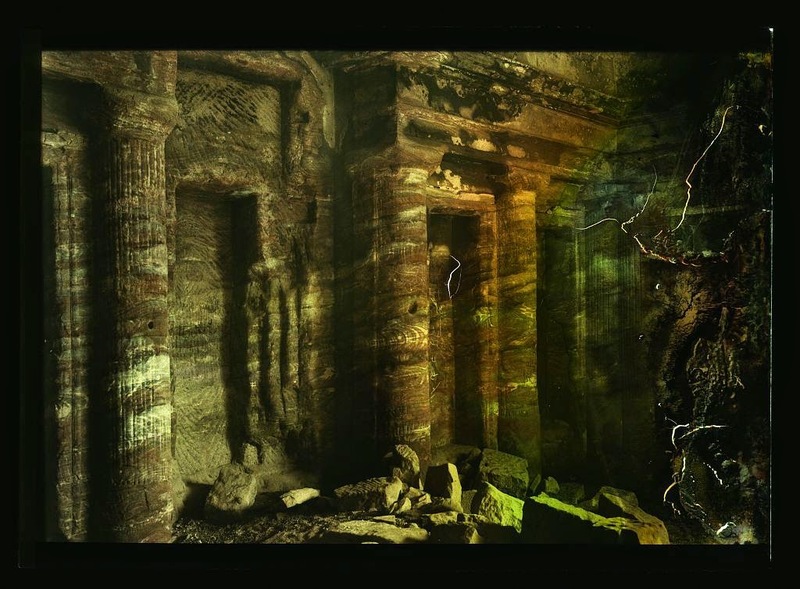 Early colour photographs of Petra, the Jordanian city carved from rock. 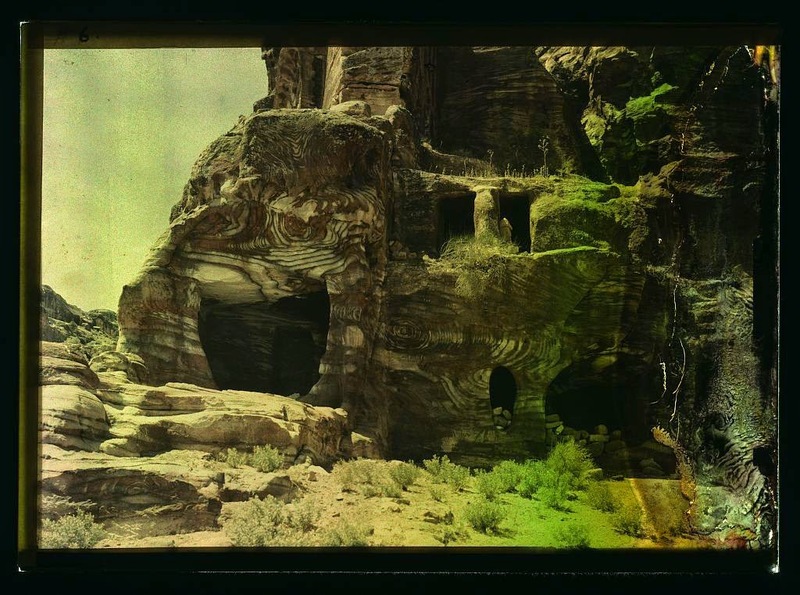 These photographs are early Agfacolour transparencies, essentially a film-based version of autochromes made in the early to mid-1930s. 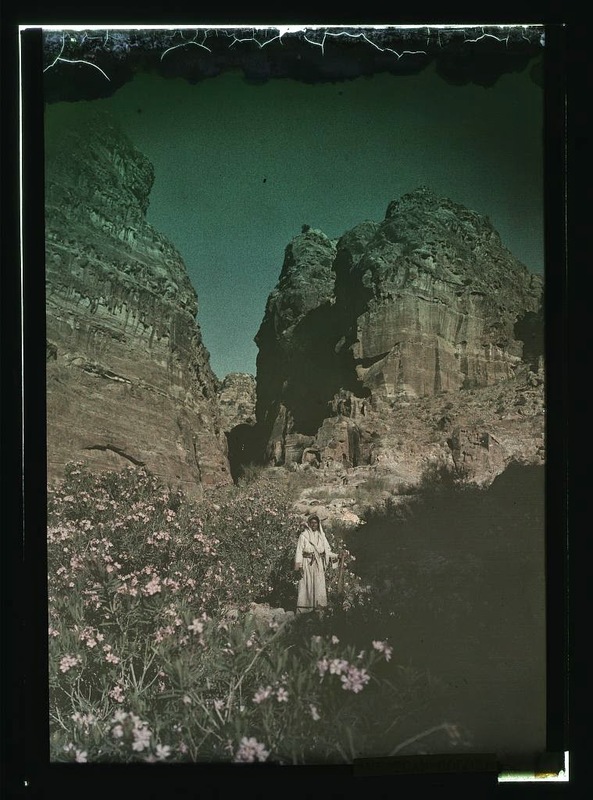 They were taken by the photographic division of the American Colony, a utopian Christian sect in late 19th and early 20th century Jerusalem, the archive of which was donated to the Library of Congress in the 1970s. 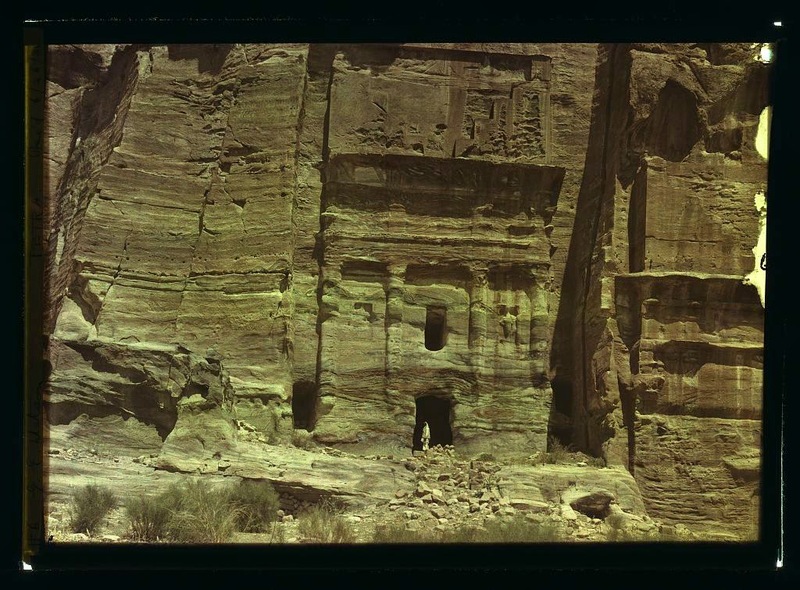 Most are not in very good condition, but as usual I find this only adds to their fascination.